When your're in the Highland Lakes area, you've got to get on the water! 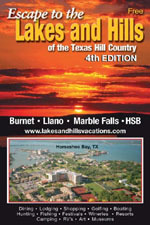 There are plenty of marinas and resorts on Lake LBJ, Lake Buchanan and Lake Marble Falls offering boat and watercraft rentals, food and fuel. 512-756-4700 We offer both guided and non-guided trips as well as kayak, canoe and stand up paddle board rentals. At Buchanan Adventure Tours, our goal is to amaze you with the grandeur of the Texas Hill Country. We offer a vast array of excursions, both on and off the water. Choose a guided kayaking adventure to Fall Creek Falls, or enjoy a nature hike with a BAT naturalist. Try your hand at geocaching or take in the sights of Lake Buchanan while on a pontoon cruise. Don't forget our recreational team building opportunities to challenge and motivate your group. Experience natural wonders such as cascading waterfalls, rugged granite cliffs, unique flora & fauna and soaring Bald Eagles. Located at the beautiful Canyon of the Eagles Nature Park near Burnet, Texas, BAT is ecotourism at its finest. 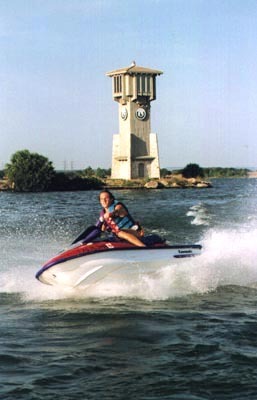 Boat & Watercraft Rentals: Delivering and Launching on All of the Highland Lakes including Lake Buchanan, Inks Lake, Lake LBJ and Lake Marble Falls. Offering the newest fleet of Ski Boats, Pontoon Boats, Jet Skis and Water Toys with rates for Single or Multi-day rentals. Boat & Watercraft Rentals: Boats for rent including performance wakeboard boats available with a professional driver. 503 799 4453 Boat & Watercraft Rentals:Boats for rent including performance wakeboard boats available with a professional driver. Slip Rentals: 20 Slip Marina in Sunrise Beach accommodating everything from pwc's to 75' boats. Covered and uncovered slips, with and without lifts. Other: 1/2 acre private island available for weddings, reunions, and special events. Amenities: Quiet area, boat ramp & slips, PWC ramps, fishing docks, grills on pool patio, swimming beach nearby, lots of wildlife, pets welcome in some units w/prior approval. Watercraft Rentals: Kayaks - DELIVERED! JustYakin is here in the Highland Lakes area to provide you with hours of paddling fun. We will deliver our kayaks to your vacation spot or to your home, so you can take it with you on your next vacation. We have sit-on-top singles and tandem kayaks. Our kayaks are very stable and perfect for beginner and intermediate paddlers. You rent?.we deliver. It?s that easy to get your YAK on! ,,Rent kayaks for Birthday Parties, Reunions, Holidays, and any other special event. We also offer gift certificates.